CEDAR RAPIDS, Iowa – Our company’s Minnesota utility has successfully closed the sale transaction of our Minnesota natural gas system to Minnesota Energy Resources. Effective May 1, Minnesota Energy Resources will begin handling all customer service questions or concerns. Customers will also be transitioned to Minnesota Energy Resources’ programs and service terms. Customers will be receiving additional information through direct mail from Minnesota Energy Resources regarding their programs and services. Customers can also contact Minnesota Energy Resources’ customer service representatives at 1-800-889-9508 or visit minnesotaenergyresources.com. On April 30, the Minnesota Public Utilities Commission (MPUC) verbally approved the sale of our Minnesota electric distribution system to Southern Minnesota Energy Cooperative. We expect the MPUC to issue a written order in the second quarter 2015. The Iowa Utilities Board (IUB) held an evidentiary hearing on April 27 regarding the sale of our company’s electric distribution system in Minnesota. We expect the IUB to issue a decision in the second quarter 2015. The transaction is also pending Federal Energy Regulatory Commission (FERC) approval. Pending final approvals, we expect the sale of the Minnesota electric system to close in the third quarter 2015. In September 2013, our company’s Minnesota utility announced plans to sell our natural gas and electric systems in Minnesota. 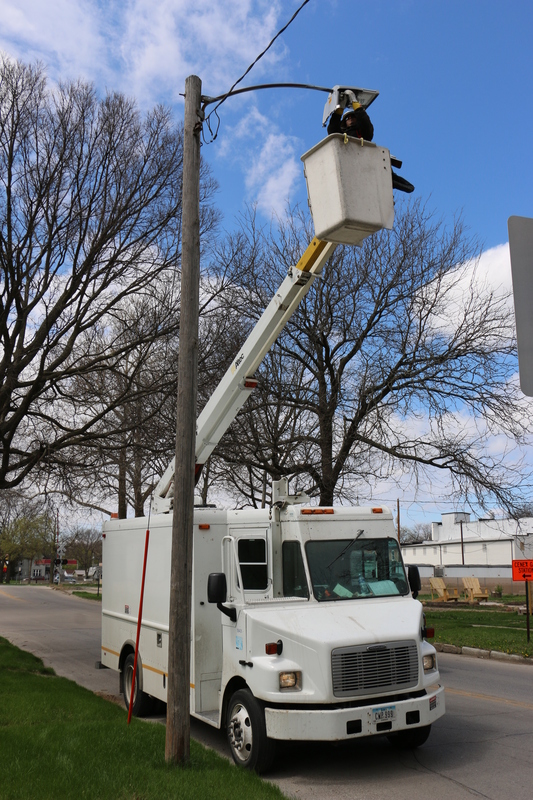 If you’ve driven at night recently, you’ve probably noticed some of the work we’ve done to thousands of street lights across Iowa and Wisconsin. The work is saving energy, reducing greenhouse gases and making our streets brighter. We’re doing pilot projects to study and transition the tens of thousands of street lights we operate to a new energy-efficient technology. We’re replacing the standard high-pressure sodium (HPS) lights with a new LED light. The HPS, commonly found across the country, gives off an orange/yellow glow. The LED shines a brighter, whiter light. Out pilot projects are at different stages depending on the communities. So far, we’ve installed more than 20,000 LED street lights in Iowa and more than 1,400 in Wisconsin. This work is having a positive impact on the environment, our roads and our customers. On average, the LED uses about 20 fewer watts than the HPS. The savings is even greater for some of the larger LED units that replace older HPS units. So far, we’ve reduced the energy needed to light our streets by more than 400,000 kilowatt-hours (kWh) each month. Reducing that amount of energy usage has the same benefit to the environment as removing the annual greenhouse gases from about 57 passenger cars. The LED lights benefit drivers by making it easier to see different colors at night and by providing more uniform lighting on the pavement. 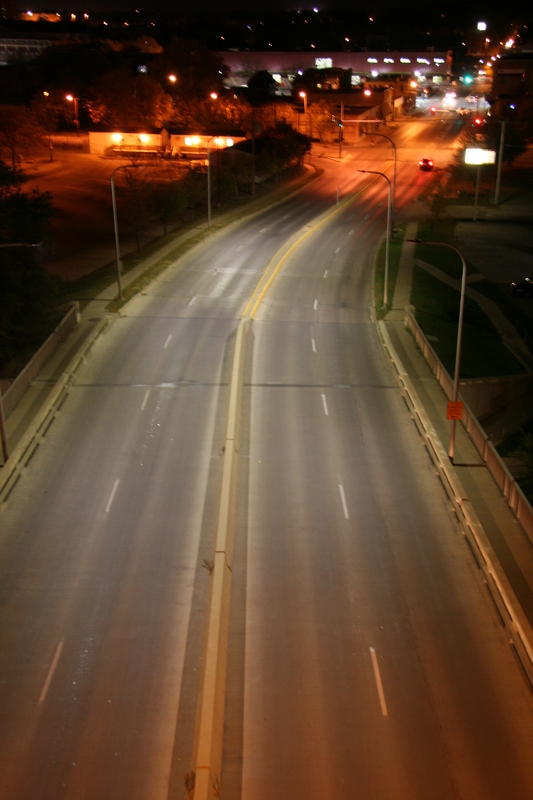 Cities and municipalities pay for their communities’ street lighting. These new LED lights are providing benefits without any additional costs for our customers. Whether it’s producing renewable power or utilizing new technology to become more efficient, we’re helping power our customers and communities safely, efficiently and responsibly. Boone, Iowa – Projects will start this week in Boone to upgrade and replace the city’s natural gas system. Construction will involve 16 different projects, with a total investment of approximately $3 million. Intercon Energy Services is the contractor for the projects. Residents and business owners impacted by the construction projects will be notified when construction work will be occurring in their areas. The company expects to complete the construction work in December. Additional information on the Boone natural gas system upgrade and replacement projects are available at alliantenergy.com/naturalgasprojects. We are upgrading natural gas systems in several communities throughout Iowa in 2015. Similar projects started in March in Ames and in Nevada earlier this month. Anyone in Boone who currently does not have natural gas service but is interested in receiving service should call the natural gas conversion hotline at 1-888-255-4254 for more information. Nevada, Iowa – We will begin major natural gas system upgrade and replacement projects in Nevada this week. Construction will involve 10 different natural gas system projects, with a total investment of approximately $1.5 million. Projects will include upgrading and replacing existing distribution natural gas pipelines and other equipment currently serving homes and businesses. Michels Utility Service is the contractor for the projects. The company expects to complete the construction work in December. Residents and business owners impacted by the construction projects will be notified when construction work will be occurring in their areas. Additional information on the Nevada natural gas system upgrade and replacement projects is available at alliantenergy.com/naturalgasprojects. Work to upgrade the natural gas system in Ames began in March. Similar work on the natural gas system in Boone is expected to begin later this month. Anyone in Nevada who currently does not have natural gas service but is interested in receiving service should call our natural gas conversion hotline at 1-888-255-4254 for more information. Before you do any digging this year, remember to call 811 at least three days before turning dirt. Just last year, more than 319,000 of our customers, contractors and city workers called 811 to locate buried lines. That’s the most calls to 811 our area has seen in at least the last six years. When you call 811, local utility companies are notified where and when you want to dig. Within a couple days, we send a locator to mark the approximate location of our underground lines, pipes and cables. That way you know what’s below and can dig safely. The yellow plastic pipe is a damaged natual gas pipeline. Calling 811 isn’t just a good idea; it’s also the state law. Last year there were 363 hits to our lines. That’s a 6% increase over 2013. 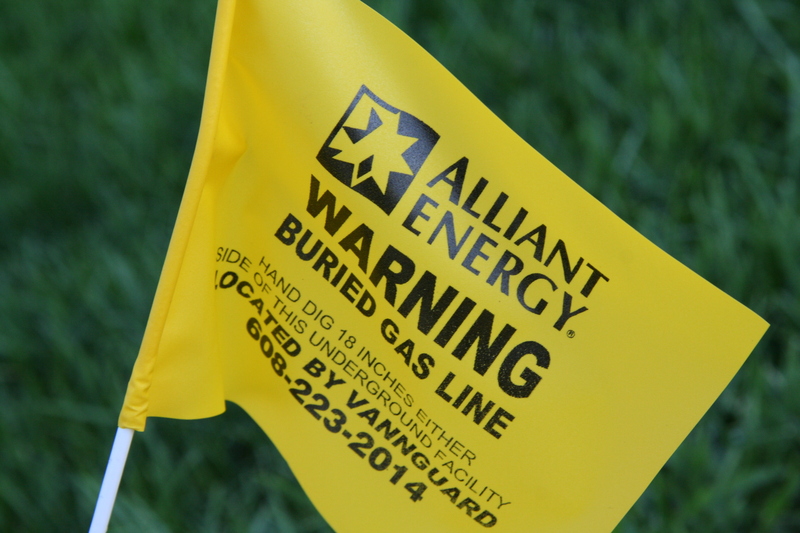 For all Alliant Energy customers, 17% of those hits happened because no one called 811. That’s an increase from 2013 where 15% of hits didn’t start with a call to 811. 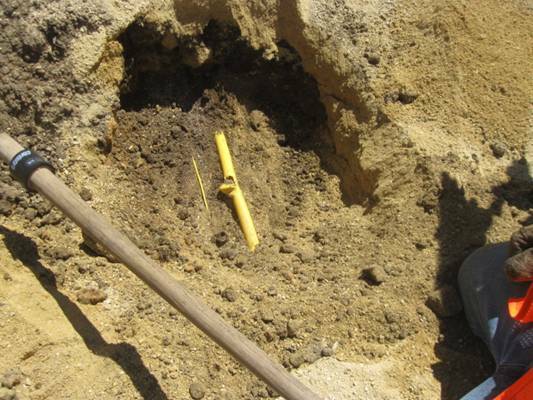 Calling 811 isn’t the only way to be safe while digging. You need to stop using power tools and hand dig within the safe zone, which varies from 18 to 24 inches depending on where you live. Just last year, 26% of hits came from digging with power tools in this safe zone. In Wisconsin, you must call at least three business days before you plan on digging. In Iowa, Minnesota and Illinois, you must call at least two business days in advance. Check out alliantenergy.com/call811 for more information.